Awards range from $3,200 to $15,000 and support projects that aim to improve public health, support women's leadership initiatives, promote STEM disciplines, increase opportunities for diverse and underserved populations, and provide global experiences for students at IU Bloomington, IU East, IU Kokomo, Indiana University-Purdue University Indianapolis, IU South Bend, IU Southeast and Indiana University-Purdue University Fort Wayne. The Women's Philanthropy Leadership Council reviewed a record 80 applications for funding this year, more than double what it typically receives. The increase — from 28 applicants last year — is attributed to personal outreach across units at IU by council members like Janet Smith, who led the council's grant-making process this year. "We were impressed by the applications we received, which reflect the creativity and commitment of the applicants to IU students, the IU community, our state and beyond," Smith said. "It is a challenging process to select awardees, as we receive more worthy applications than we can currently fund." In partnership with the IU Foundation Board of Directors and the Well House Society — one of the IU Foundation's donor recognition societies — several applicants were able to obtain partial funding for their projects. Members of the Well House Society Advisory Board reviewed this year's Women's Philanthropy Leadership Council grant applicants to ensure selected projects answer urgent needs and opportunities, demonstrate widespread impact on the university, and align with the priorities of For All: The Indiana University Bicentennial Campaign. This year's Well House Society support will help fund projects within the IU School of Public Health-Bloomington; the Fairbanks School of Public Health at IUPUI; the Kelley School of Business; and in Central Indiana high schools through the IU Bound program, which helps Hoosier students from diverse populations prepare for college. For the first time this year, the IU Foundation Board of Directors evaluated five select proposals for potential funding. During a working session June 8, the board listened as each of the five finalists made their cases for additional support. Board members then asked questions of presenters and provided assessments of each presentation. Two of the five grantees received supplemental grant funding from the IU Foundation board: travel funds for students to research the unique intersection of religion and conflict in Ireland and Northern Ireland, a project of The Media School at IU Bloomington; and Building the Community Bridge, a mental health anti-stigma effort developed by the Department of Sociology at IU Bloomington. Likewise, the IU Foundation board supported three additional initiatives: the Fiercely Resilient Initiative of the Office of Student Diversity and Inclusion at IU Bloomington; the New Media Art and Technology Program at IU Kokomo; and Parent-Based Prevention of Alcohol-Related Sexual Assault on Campus at IU Bloomington. "This year's round of applicants was a varied group with many innovative, thought-provoking proposals," IU Foundation President Dan Smith said. "Not only were we inspired by the ideas and dedication of the presenters, our board was pleased to have the opportunity to partner with the WPLC to elevate the good work they are already doing. Likewise, for the IU Foundation board to be able to provide supplemental funds to five proposals this year was truly rewarding." HER Talks, National Center of Excellence in Women's Health at IUPUI: The grant will enable the center to host a series of HER Talks — Health, Education and Research educational forums, similar to TED Talks — that promote timely, gender-specific research and its impact on women's health. 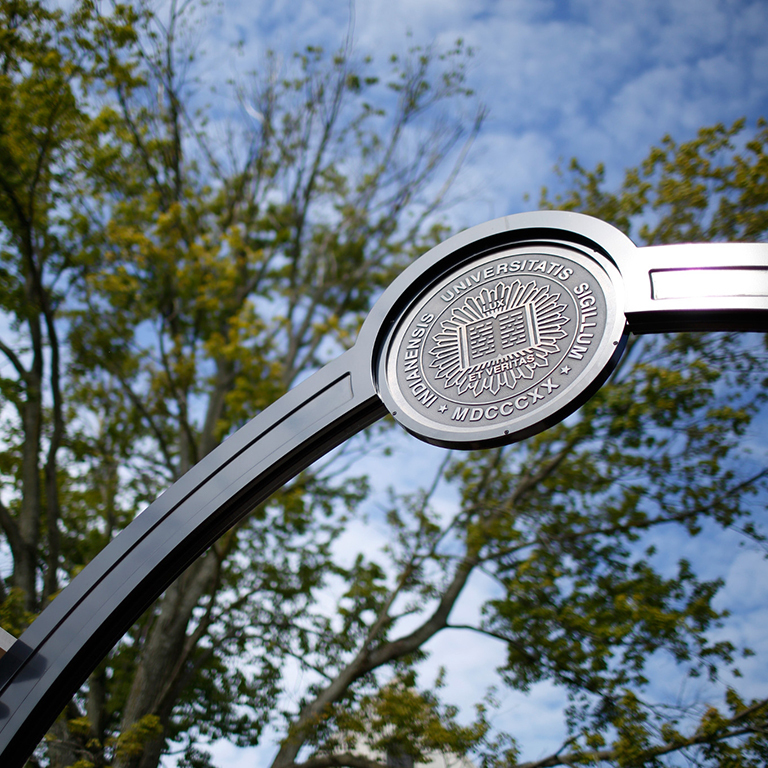 Building the Community Bridge, Department of Sociology at IU Bloomington: The award will expand IU Bloomington's mental health anti-stigma efforts to two Bloomington high schools by supporting inclusionary programs led by IU experts on mental health/illness. Mary Brown Craig Bicentennial Internship, Office of the Bicentennial at IU: The grant will help fund an internship dedicated to research on the history of women of impact at Indiana University. Women's Leadership Summit, Kelley School of Business at IU Bloomington: Grant funds will support multidisciplinary and cross-campus collaboration, as well as programming for women's leadership development. Titans Feeding Titans Food Pantry, South Bend Alumni Association at IU South Bend: The award will fund refrigerator/freezer units to preserve food for students in need and help combat food insecurity on the South Bend campus. Enhancements to the Sage Fashion Collection at IU Bloomington: Grant funds will help move an extensive costume collection to the Bloomington campus, which will provide unique learning opportunities for students in costume design and theater disciplines. Being First, Center for Women and Returning Adults at IPFW: The award will enable expansion of the Being First program, which provides workshops, tutoring services and other resources to first-generation students with a goal of increased retention rates on the IPFW campus. The Startup Ladies, Kelley School of Business at IUPUI: The award will enable marketing students to conduct market research and support the development of women-founded startups in Central Indiana. An Exploration of Promoting Self-Compassion and Body Pride, Division of Allied Health Sciences at IU Kokomo: Grant funds will support student participation in a research project that seeks to identify and promote healthy behaviors in Indiana women. Transgender Health and Wellness Program, IU School of Medicine and Eskenazi Hospital at IUPUI: The award will expand the program, by increasing the number of support groups and wellness services offered, and enhance training for staff to serve the transgender population's health needs. Pine Ridge Service Learning, School of Nursing at IU Southeast: Grant funds will allow nursing students to travel to the Pine Ridge Reservation in South Dakota and offer health awareness and provide personal hygiene items to the reservation's underserved Lakota Sioux population. MSCH-J 460 Student Experience, The Media School at IU Bloomington: The award will enable students to travel to Ireland to research and write about the unique intersection of religion and conflict as part of the media course "Covering Ireland and Northern Ireland." Learning From the Past: Life and Death in Prehistory, Katherine Miller Wolf, Ph.D., at IU East: Grant funds will support the analysis of human skeletal remains in Honduras, Guatemala and Belize, to investigate past lifeways of archaeological or marginalized people in prehistoric and historic periods. Graduate Women in STEM Teaching Fellows, School of Education at IU Bloomington: The award will support the professional development of future faculty in STEM education and teaching environments. Girls With Nerve, Francesca White at IU Bloomington: Grant funds will support a free, weeklong day camp for middle and high school girls, aimed at exploring human neuroscience and enhancing retention of women in STEM fields. Initiative to Diversify Enrollment in Foundations in Science and Mathematics at IU Bloomington: The award will support recruitment of female high school students, particularly in underrepresented races and ethnicities, to increase enrollment in Foundations in Science and Mathematics, a summer program designed for high school students, offered through IU's College of Arts and Sciences. About the Women's Philanthropy Leadership Council grant program: Grants are awarded on an annual cycle from the WPLC Fund, which is administered by the Indiana University Foundation. Council members, alumni and friends of IU support the fund with annual contributions. Applications for 2018 grants will be available in December 2017. For more information about grant criteria and applications, contact Natalie Meador, assistant director of women's philanthropy at Indiana University, at ndmeador@iu.edu. The IU Women's Philanthropy Leadership Council was convened by the Indiana University Foundation Board of Directors in 2010. The council's mission is to lead fundraising and engagement efforts that inspire women to give of their time, talent and resources to Indiana University and to develop women leaders in philanthropy. Founded in 1936, the Indiana University Foundation maximizes private support for Indiana University by fostering lifelong relationships with key stakeholders and providing advancement leadership and fundraising services for campuses and units across the university.